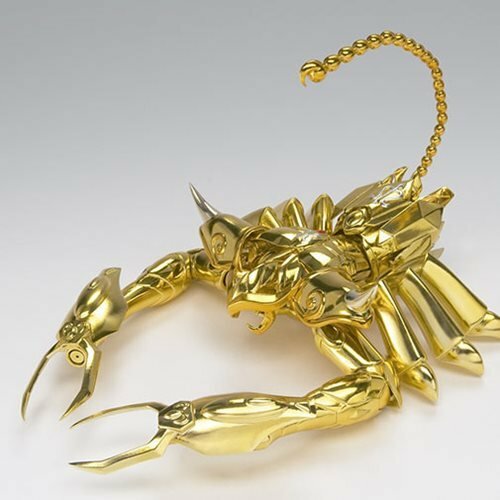 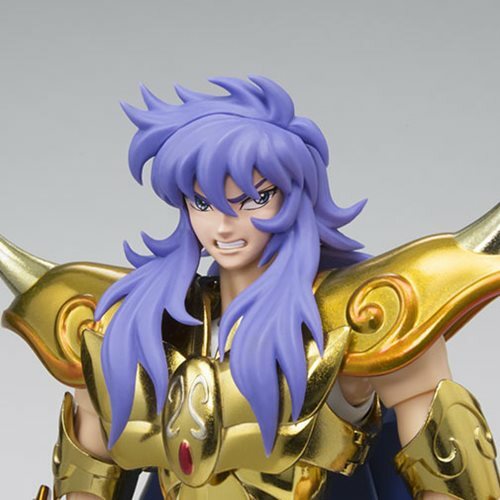 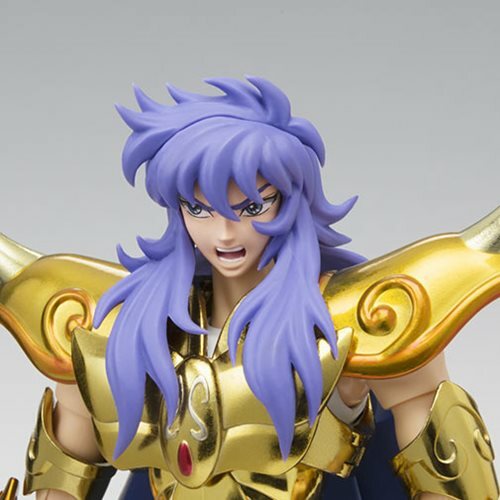 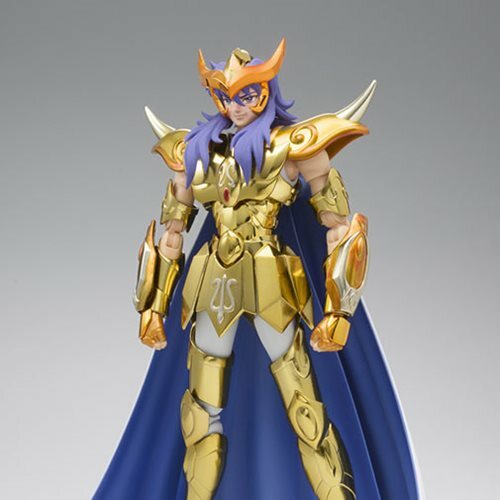 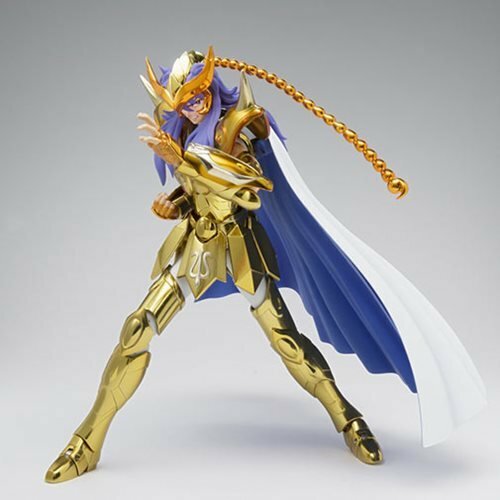 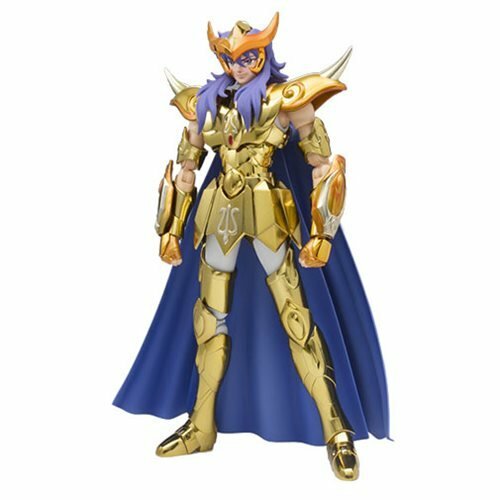 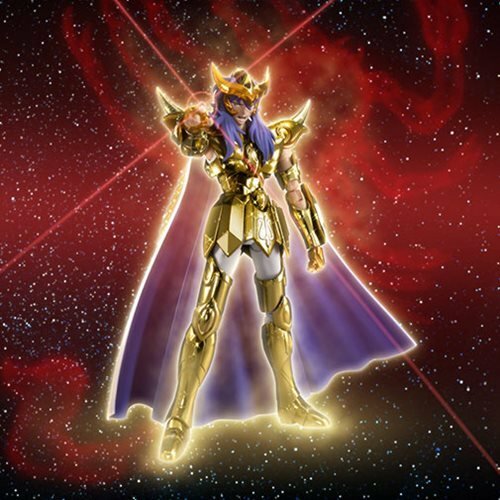 Fans of Saint Seiya will love this Saint Seiya Saintia Sho Scorpio Milo Saintia Saint Cloth Myth EX Action Figure. 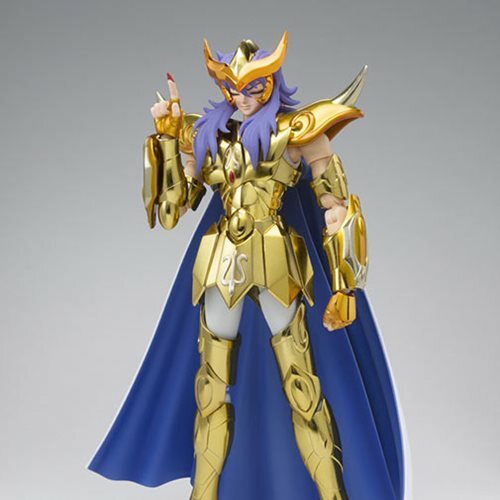 The figure includes cloth armor, optional hair parts, 3x optional expression parts, 4x left optional hands, and 5x right optional hands. 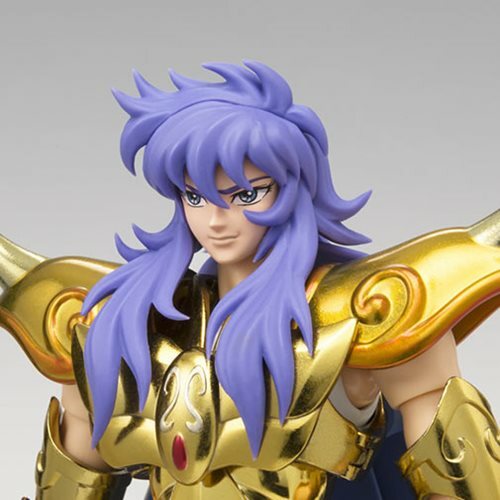 Measures about 7-incehs tall.